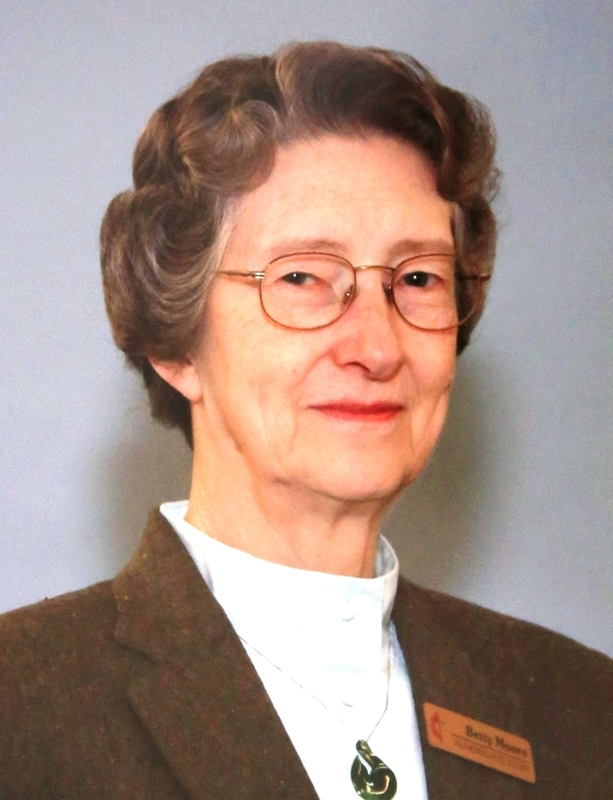 Betty Wheaton Moore, age 84, of Wilmington, Delaware, passed away on April 9, 2019 at Wilmington Hospital. Betty was born in 1934 and grew up in Potterville in northeastern Pennsylvania with three siblings on her parents’ (Merton and Margaret Wheaton) dairy farm. Betty was a graduate of LeRaysville High School in 1952. She was employed at an insurance and travel agency in Towanda, PA. In 1958, she married Albert L. Moore and they lived in Cambridge, Massachusetts (where she worked as an office assistant) until 1961. When Albert finished his doctorate at M.I.T. they moved to Wilmington, Delaware and lived near Arden, Delaware for 53 years. Albert primarily worked at DuPont as a chemical engineer during his career. They have been living in Stonegates Retirement Community the last two years. Betty and Albert raised two sons (David and Eric), who each are married with two children. David and Paula Moore live in Texas and have daughters Stephanie (who recently married Alex Stiver) and Sarah. Eric and Theresa Moore live in Wisconsin and have a son Derek and daughter Madison. Betty is survived by Albert, her loyal husband of 60 years, and their children and grandchildren, as well as her sister Dorothy Keeney and brother Fred. She was pre-deceased by her sister Evelyn Hall. Betty and Albert travelled the world extensively, documented with many photos. Puzzles of all kinds were Betty’s interest and pleasure. She enjoyed crossword puzzles, Sudoku, solitaire, and was hard to beat in scrabble or rummy (unless you were a grandchild of hers). She became an avid Phillies fan. Betty and Al also volunteered for the Meals on Wheels Program for many years. For 46 years, Betty was a volunteer membership secretary at two different United Methodist Churches in which she was active: Hillcrest-Bellefonte UMC for about 28 years and Aldersgate UMC for 18 years, retiring in 2016. A memorial service for Betty will be held at 11:00 A.M. on Tuesday, April 16, at Aldersgate United Methodist Church, 2313 Concord Pike. Visitation with the family will be at 10:00 A.M. Contributions in memory of Betty Moore may be made to Aldersgate United Methodist Church, 2313 Concord Pike, Wilmington, DE 19803. Sorry for your lost. We are with you in spirit. Sending you our deepest sympathy. We will keep you all in our thoughts and prayers.